Start in Auckland and end in Queenstown! 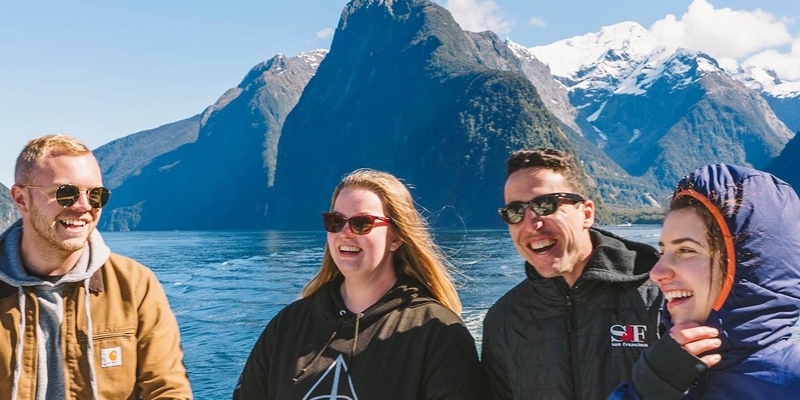 With the adventure tour The Kiwi Bucket List(Without TranzAlpine Rail,Start Auckland, End Queenstown), you have a 10 day tour package taking you from Auckland to Queenstown and through Auckland, New Zealand and 8 other destinations in New Zealand. 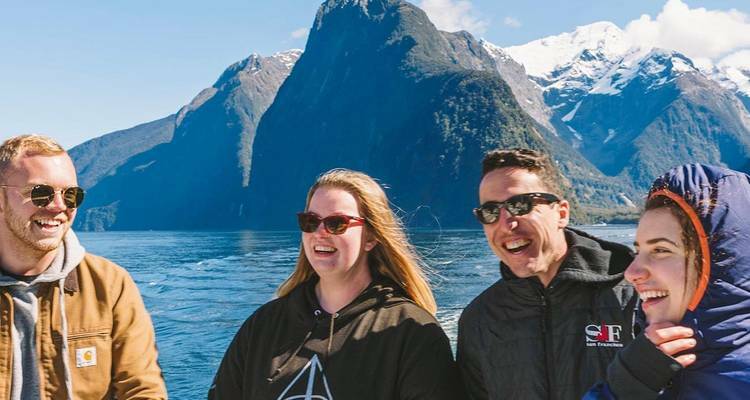 The Kiwi Bucket List(Without TranzAlpine Rail,Start Auckland, End Queenstown) is a small group tour that includes accommodation in a hotel as well as an expert guide, meals, transport and more. This trip was amazing! I'd highly recommend everyone doing a Contiki at some point in their life. I met some amazing people from all over the world, we shared some unforgettable experiences and our tour manager was an absolute champ! It was a fantastic tour experience and also they were responsible guide manager and driver. Loved this website, always find the best deals and tour companies that I would have never found if it was not for Tour Radar. If you like to travel this resource you must have when planning a trip! Auckland is the starting point and Queenstown is the endpoint. TourRadar only requires a deposit of $99 to confirm this Contiki booking. The remaining balance is then payable 50 days prior to the departure date. For any tour departing before 7 June 2019 the full payment of $1,634 is necessary. No additional cancellation fees! You can cancel the tour up to 50 days prior to the departure date and you will not need to pay the full amount of $1634 for The Kiwi Bucket List(Without TranzAlpine Rail,Start Auckland, End Queenstown), but the deposit of $99 is non-refundable. Covering a total distance of approx 1,578 km.